Experience two of California’s iconic sights in one combo private custom and all-inclusive tour. These two destinations are a must see and best to experience as a private and personalized trip. Save yourself the hassle of finding parking and negotiating traffic. Book this all-inclusive adventure and we will take care of the rest. 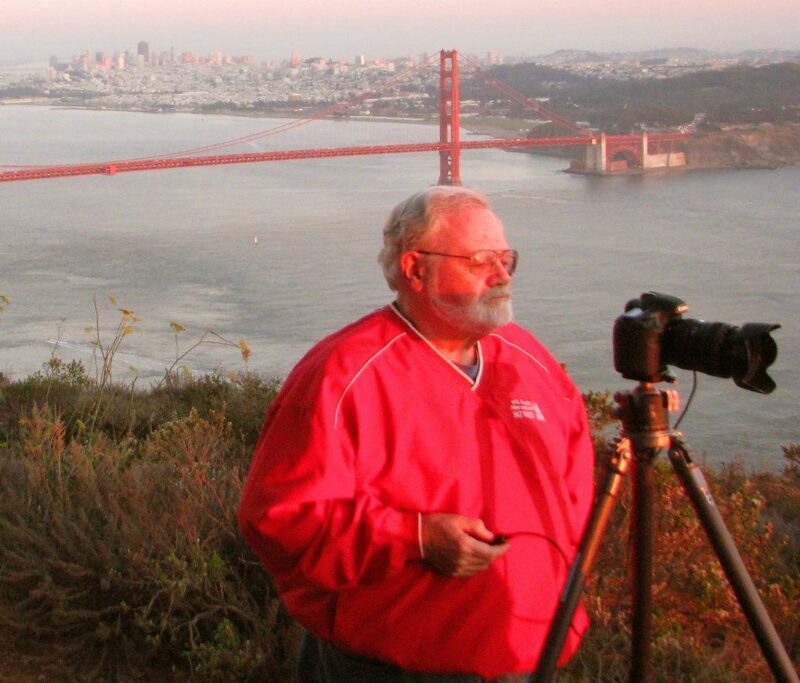 Join our San Francisco city guided tour, combined with the Alcatraz night adventure. Explore a unique custom adventure of Alcatraz Island “The Rock” at night. The Alcatraz night tour offers visitors a unique perspective of Alcatraz Island after dark – a totally different experience from the day tour of Alcatraz. The extreme challenge with Alcatraz night tours is getting tickets because they only offer this tour from Tuesday through Saturday nights, and that’s only in the summer. Why book an Alcatraz night tour? Alcatraz night trip is a completely different experience from Alcatraz day tour. Alcatraz night tour offers you a unique perspective of what former Alcatraz inmates would have experienced after dark. 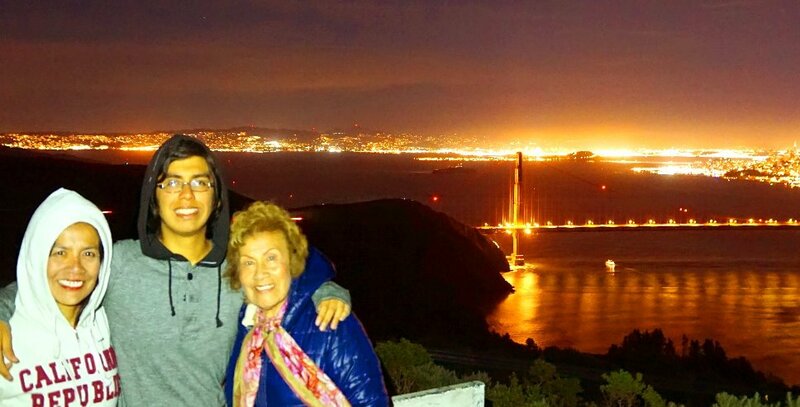 Some visitors find Alcatraz night tour a bit creepy, while others love it. Alcatraz tours provide a district and outstanding experience, especially when you visit this legendary Island after dark. During your night trip, you will embark on an eerie tour of this former federal prison, which has a ghostly feel at night - something you can never experience during the day tour. At night, some sections of Alcatraz are open to visitors, which is not available during the day tour. The Alcatraz night tour is a unique trip which provides an extraordinary experience to visitors. This trip includes special programs and numerous activities, which are not provided during the day tour. It includes a roundtrip ferry transportation, a guided tour from the Dock to the Cellhouse, the Cell house Audio Tour, a live boat narration, a keepsake souvenir brochure and many programs and presentations offered only for the night tour visitors. The ferry trip to Alcatraz at night is also an opportunity to enjoy the sunset and changing light over Alcatraz and San Francisco Bay. In addition, the island is the perfect site to take in the panoramic views of San Francisco’s skyline. Important note: The Alcatraz Night Tour is a unique program limited to just a few hundred visitors per evening. The extreme challenge with Alcatraz night tours is getting tickets because they only offer this tour only few days per week, from Tuesday through Saturday nights, and that’s only in the summer with one departure only limited to a small group, guided tours are NOT allowed on Alcatraz Island, those who ignore this rule will be escorted from the Island by the National Park Service rangers or staff. Experience two of California iconic sights in one combo, all-inclusive private custom tour. These two destinations are a must-see and best to experience as a private and personalized trip. Save yourself the hassle of finding parking and negotiating traffic. Book this all included adventure and we will take care of the rest. Your tour will be conducted in two separate parts. 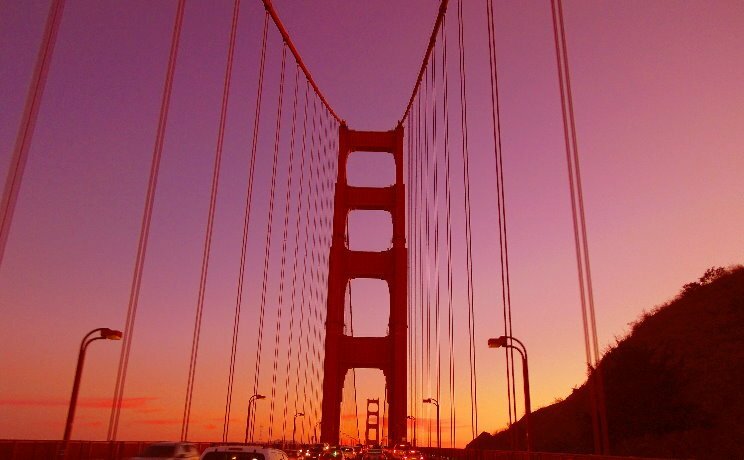 You will first enjoy a private custom tour of San Francisco’s iconic attractions and unique sights with a private tour guide in a luxury vehicle. The second part of the tour will take you to the legendary Alcatraz island. The first part of your Alcatraz combo tour will start with a complimentary meet and greet at your hotel in San Francisco. 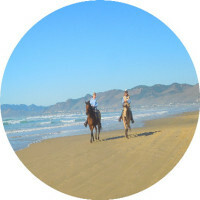 Your personal driver is an experienced and passionate tour guide. 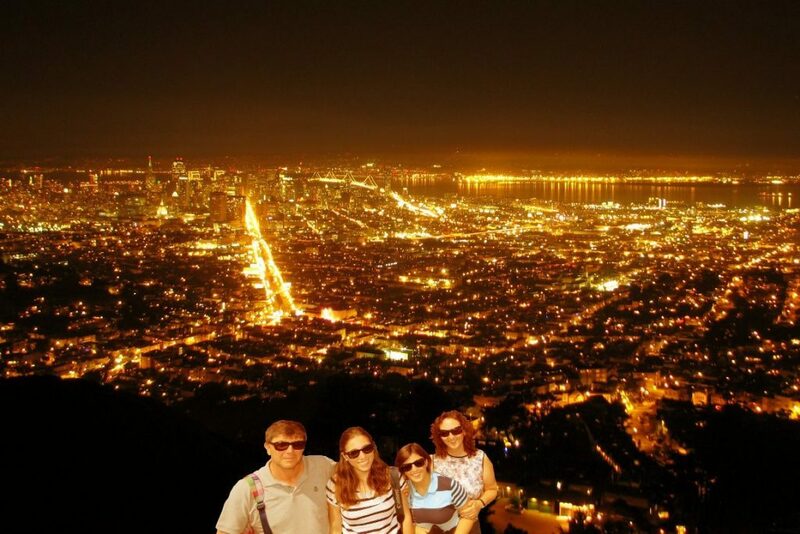 He or she will offer you a comprehensive and private guided tour of San Francisco’s top attractions. 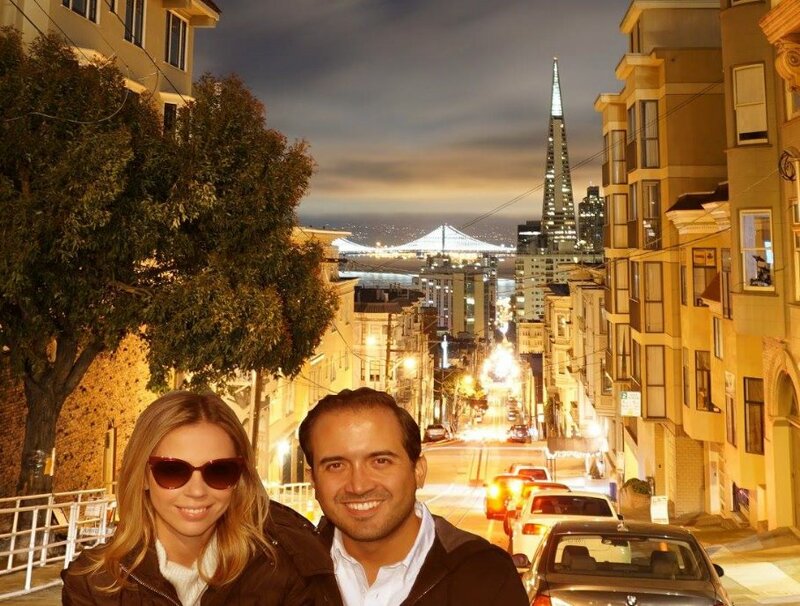 Traveling by luxury 4X4 SUV, you will see famous and hidden sights, including neighborhoods where large vehicles are prohibited, such as Lombard Street (one of the most crooked streets in California), Coit Tower, ‘Painted Ladies’ (Victorian homes) at Alamo Square. Your tour will also include Sea Cliff on Baker Beach that offers stunning views of the Golden Gate Bridge, the Historic Presidio, the Twin Peaks, Ocean Beach, Telegraph Hill, Russian Hill, Fisherman's Wharf, Marina Distract, Palace of Fine Arts, Ghirardelli Square and its famous Chocolate Factory. While traveling in comfort, you will learn about San Francisco’s history, architecture, and geology. Stops can be made anywhere you want, to capture the stunning views of these iconic sights. Our SUVs are luxury vehicles that have special access to all San Francisco’s steep hills and narrow streets where larger vehicles are restricted or prohibited. Avoid the crowded places and large commercial bus tours, and take advantage of this VIP and intimate personalized custom city tour, tailored to your expectations. We are always willing to go the extra mile to serve you better. You will be in excellent hands as this tour includes all the required services and fees. You can relax and enjoy this memorable experience. The second part of your Alcatraz combo adventure will take you to the legendry Island, also known as the ‘The Rock”. Following your private excursion of San Francisco, your personal tour guide will drive you to the Alcatraz ferry terminal where the ferries travel across the San Francisco Bay to Alcatraz and vice versa. This is the only ferry-line allowed access to Alcatraz Island. Avoid traffic, parking problems, sold out tickets and crowds. We take care of that on your behalf. Your personal driver will redeem your Alcatraz trip voucher, get you the required official tickets to Alcatraz and help you to check in on the next ferry to Alcatraz Island. Once you disembark on the Island, you will be offered the award-winning Alcatraz self-guided audio tour, which is included in your tour price. That means you can tour the Alcatraz Prison at your own pace and in your preferred language, in addition to English. You may want to consider staying at a hotel near Fisherman’s Wharf or take the historic cable car to go back to your hotel in downtown San Francisco. -No minors under the age of 18 are allowed to visit Alcatraz without their parents or other adult supervision at all times. 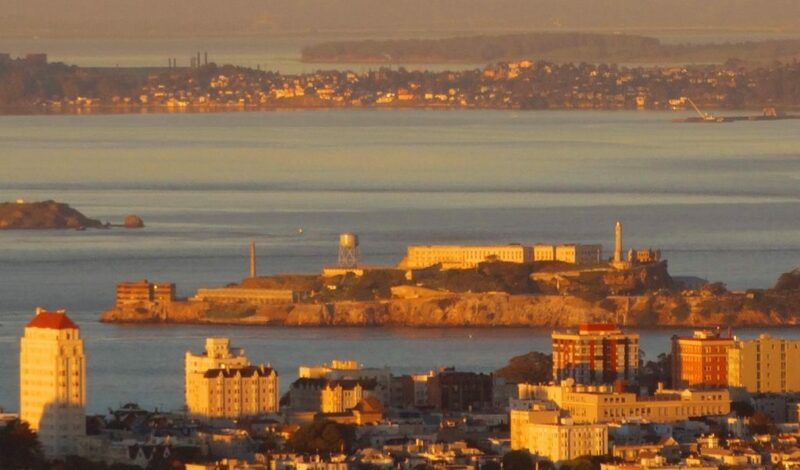 -Alcatraz is a steep and hilly rock standing in the heart of San Francisco Bay. You will have to walk, uphill, downhill, upstairs and downstairs (no elevators available). The distance from Alcatraz ferry dock to the prison is about a quarter mile each way. Please note the electric shuttle for people with disability is not available for the night tour. -What to wear during the excursion? You need to wear comfortable walking shoes with well-gripped soles and be prepared by dressing in layers. The weather in Alcatraz and San Francisco is cool, often foggy and changes drastically in minutes. Carrying food and beverage:? There is no food service available at Alcatraz. Eating is strictly prohibited on the dock area. You may enjoy a variety of snacks and foods on the ferries or simply have an early dinner before you embark on your Alcatraz Island trip. No food, luggage, coolers, oversized backpacks or packages are allowed on Alcatraz. Limited tickets available for visitors: Alcatraz tour tickets are sold out up to 10 weeks in advance during summers and holidays, but night tour tickets are extremely hard to find and get sold out as soon as they become available. We recommend that you secure your Alcatraz tickets at your earliest. Alcatraz night tour and tickets: Alcatraz Island self-guided night tour is a unique program limited to just a few hundred visitors, so be sure to book your Alcatraz tickets weeks and even months in advance as they get sold out up to three months in advance. Important note: The Alcatraz Night Tour is a unique program limited to just a few hundred visitors per evening. The extreme challenge with Alcatraz night tours is getting tickets because they only offer this tour from Tuesday through Saturday nights, and that’s only in the summer with one departure only limited to a small group, guided tours are NOT allowed on Alcatraz Island, those who ignore this rule will be escorted from the Island by the National Park Service rangers or staff. This custom tour by SUV (luxury car) is totally private and the price is per person. We don’t offer semi-private tours; all our trips are totally private. This is a private city tour by large luxury van (like 15 seaters deluxe minibus) The price is per party (small group). This tour by large van is totally private and not available for public reservations or individual booking. 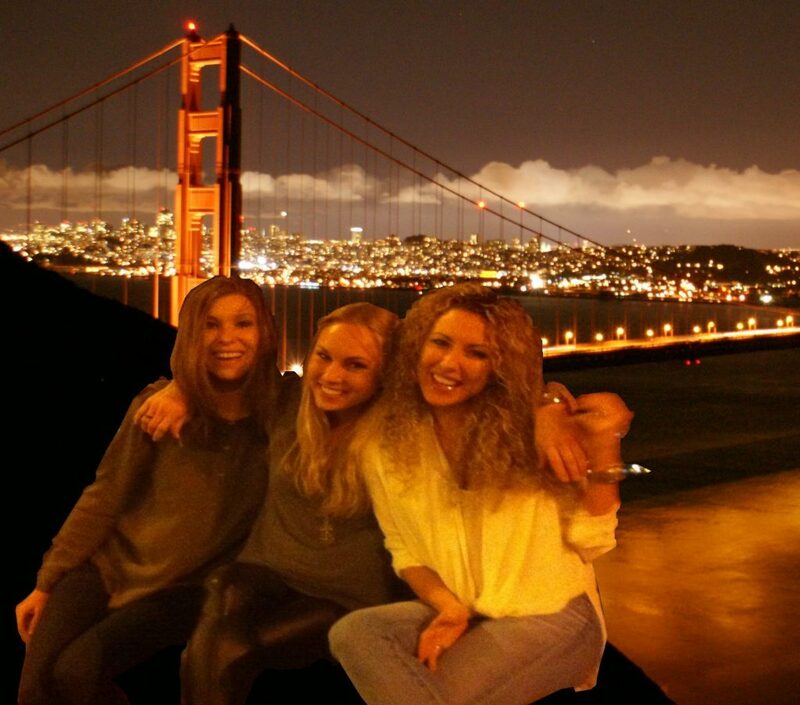 What’s Included in this Alcatraz Night Tour and San Francisco private tour? 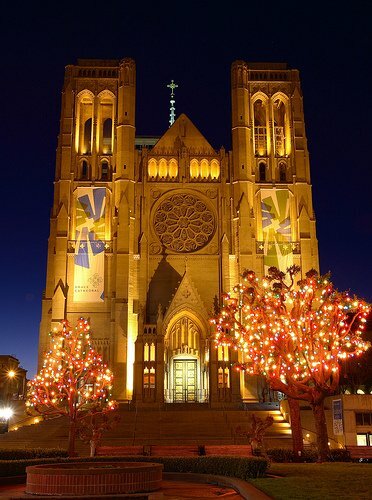 What’s Not Included in this San Francisco city 4-hour tour?? Meals, entrance tickets to any optional site(s) or monument(s), driver’s gratuity tips (gratuities are recommended and customary in the USA at 15%-20%), drop off at your hotel after Alcatraz tour. Our guided tours are conducted in English, however, please ask us about tours in other languages for an additional fee and based on availability. The itinerary may change based on your time, road or weather conditions, pick-up location and preference. When it is rainy or foggy, we have to skip some areas /places for safety considerations or due to the lack of visibility. Please note that vehicles taking 7 passengers or more are prohibited entry to many places in San Francisco, like Lombard Street, Alamo Square, Telegraph Hill, Marina, Sea Cliff, Hyde, and wherever a sign is posted in this regard. We therefore recommend our SUV tour option, which is without doubt the best way to travel to these sights. Smoking is not allowed in our vehicles. We are sorry, but our vehicles are not pet friendly and not equipped for passengers with disability or wheelchairs, thank you for understanding. Please note that many sites, attractions, landmarks and neighborhoods are restricted and prohibited to large vehicles and vans including places like Lombard Street, Russian Hill, Telegraph Hill, Sea Cliff, Marina, Muir Beach and Overlook, Alamos Square (painted ladies), and all other areas restricted by law to van or bus tours. The SUV tour option is the perfect choice as you can go anywhere in the city where larges vehicles are prohibited. 50% of the total amount will be refunded if the tour is canceled at least 7 business days prior to the scheduled tour or service. (weekends and holidays don’t count). 15% of the total amount will be refunded if the tour is canceled at least 5 business days prior to the scheduled tour (weekends and holidays don’t count). 0% of the total amount will be refunded if the tour is canceled 4 business days or less prior to the day of the scheduled tour or service. This includes no-shows. (Weekends and holidays don’t count). There is a charge for each transaction when wanting a refund. This charge will vary from 4.5% to 7.9% per transaction depending on the type of credit card you used to make the transaction and the country where the credit card was issued. This charge covers the credit card transaction fees that your credit card company charged us when you made the reservation on our website and includes the required merchant processing fees associated with your credit card company. This policy applies on all refunds as well, regardless of the amount or the date of the refund. Methods of Payment and Accepted Credit Cards: We accept all major credit cards including Master Card, Visa, Discover, American Express, wire transfers, Debit Cards, Euro Cards, “Cartes Bleues.” and PayPal. We may in exceptional circumstances accept payments in cash from clients who have no credit cards. Please note that tour guides are not allowed to guide inside Muir Woods National Monument and Alcatraz Island and Prison. The pick-up at your hotel in San Francisco is included. However, to keep the cost down, the drop-off after your Alcatraz tour is not included. Alcatraz tickets are extremely hard to get because they are often sold out weeks and months in advance. The sooner you book the better. Approved online transactions do not guarantee your Alcatraz tour or tickets, as we should go through a process in order to book these tickets. After we receive your transaction, the tour can be approved or declined based on availability of Alcatraz tickets issued by Alcatraz. This is due to the increasing popularity of Alcatraz and number of visitors. Declined transactions. Why your reservation was declined? When a reservation is declined by client’s own bank, this is often due to a mismatch between customer’s bank information (such as the name on the credit card, card number, expiration date, CVV, zip/postal code or billing address). If any one of these verification factors don’t match the information you provided on our website, comparing to the bank information when placed your order, your transaction is automatically declined by your own bank to protect your bank information from fraud. Sometimes, transactions are also declined due to insufficient funds as well. Your tour(s) will not be confirmed until your new transaction is approved by your own bank. We apologize for the inconvenience, but your own bank did so to prevent fraud and protect your credit card information. Wheelchair and Handicap Accessibility issues: We sincerely apologize, but our vehicles are not equipped with wheelchair access. There is no room for a wheelchair in our vehicles, unless it is a very small and foldable wheelchair. However, the main concern is customers’ safety and ability to get it in and out of the vehicles, in addition to liability considerations. Pets: Pets are not allowed in our vehicles out of respect for those who have allergies to pets. Smoking: Our vehicles are also non-smoking. Clothing: Please be prepared for cold weather, slippery roads and hiking trails, so have comfortable waterproof hiking shoes to walk on the snow in winter and spring. This long day-tour is hard on kids and seniors, we therefore recommend the overnight tour package. Parks, Attractions and Site’s Closures: We are not responsible, nor liable, for road and weather conditions. State and national parks’ closure can happen at any time and without a prior notice, due to bad road and weather considerations. No refund will be issued, regardless the reasons for which the trip may not reach its destination. If you cancel or stop the tour for personal or medical reasons, there will be no refund or change of tour or dates offered either. Guided tours in foreign languages: All tours in foreign languages are subject to extra fees to cover tour guides or freelancers we may hire to honor your tour in the required language. Travel Agents: Travel agents are liable for 20% gratuity when their customer does not tip the driver or tour guides. We require customers’ full name and contact information from all travel agent or the tour will be cancelled. Travel agent are also liable for all overtime when their clients do not pay for, and a credit card will be needed on file. Due to high cost of conducting business in California, we barely cover our business expenses and wages, therefore, all our tours are non-commissionable rates. Gratuity: 15 to 20% gratuity is required and customary in the USA. Generally, a tip may vary between 15% to 20% of the total purchase amount, or it can be a flat amount that is near the appropriate percent. It really depends upon the situation. Meals and tour guide/driver gratuities are not included in our tour price unless indicated on your tour voucher or email confirmation. Tour prices do not include additional fees including wine tasting, accommodations, and entry fees to see attractions and sites, winery tours, unless otherwise indicated on your tour voucher or email confirmation. No substitution or refunds for any unused part of the tour(s) will be issued. All sales are final. -No refunds will be issued for a no-show or unused portion of the tour. -All refund and/or voided transactions paid on our website by credit or debit cards or via PayPal may take up to 2 weeks before you receive the funds (refunds) back into your account. 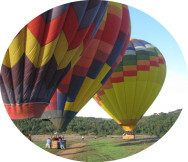 Our hot-air balloon rides are no guaranteed to depart and arrive back in Napa Valley and subject to last-minute cancelation for weather considerations. Alcatraz Tours Inc. and its partners or subcontractors reserves the right to fly anywhere within 80-mile radius of Napa Valley dependent on the weather conditions or refund the portion of the balloon ride I cancelled, but not the tour itself. -We reserve the right to refuse service to any person or business who may refuse to comply with our safety instructions, our tour itinerary, or to anyone who may pose a threat to our customers and/or our tour guide-drivers. Screaming at or insulting tour guide-drivers or fellow passengers or third-party businesses and subcontractors is not acceptable under any circumstances and will terminate and cancel your tour without any refund. Discrimination against a customer or a tour guide–driver for any reason is not acceptable either under any circumstance. Cancellation due to unforeseen weather conditions: Weather/Unforeseen Circumstances like fires, landslide, road closure, vehicle breakdown, employees or driver’s medical emergency or due other weather conditions or unforeseen circumstances; we revere the right to offer you alternative tours, destinations for the same amount of time. What happens after we void or refund a transaction? Approved transactions: When transactions are processed on our website, and approved by your bank, it still takes about 7 to 10 business days before we even get the required funds transferred to our business merchant bank account. However, we still honor your tour(s) as scheduled if your transaction is approved, even if the tour is scheduled for the next day, as long as the tour is available. We are committed to provide high quality services and tours to our customers. Voided and refunded transactions: When a transaction is voided, or refunded, the charge is removed from the authorized transaction inquiry and never batched or settled because the funds never leaves customers’ bank account. However, all such transactions will still show on customers’ bank statement as “pending” for up to 7 to 10 business days because the funds are temporarily frozen by your own bank without leaving your account. Please take this aspect into consideration before you follow up with us. To release the funds, you will need to contact your bank and handle this directly with them as this has nothing do with us. Common mistakes and misconception about voided transactions: Most customers do not realize or understand their own bank’s policy and guidelines regarding online purchases. The main issue is that the funds from the voided charge will be inaccessible to the client for a full 10 business days. For that reason, clients often think that the charge was still placed on their credit card, but in reality, it has never left their bank account and will be available only after 10 business days. In other words, voiding a credit card transaction will not remove the charge from customer’s bank account immediately, please be patient before you follow up with us or your bank in this regard. Banks usually take 7 to 10 business days to release these funds back to your account, and this is totally beyond our control and has nothing to do with us. Foreign languages: All our tours are conducted in English unless otherwise stated. All foreign languages are subject to additional cost to cover the tour guide or freelancer fee in the required language. The misconception about private tours: Ever wondered why small group private tours are more expensive than large group tours? Because public group tours are more cost-effective to operate than private tours. The input cost of private tours and public tours are roughly the same - both provide one driver or a tour guide-driver, one vehicle, same trip length – so both companies assume similar business expenses and commercial insurance liability. However, private tour operators (like ours) make 85% less profit than group tours, because all our resources are dedicated to a small number of persons. As dedicated small group operator we focus on quality to make your tour experience more personable and intimate, and we never share our private tours as we give you full attention and custom services. Yet, we have access to all the sites where large vehicles and buses are prohibited and offer exclusive destinations to magical places not available elsewhere. Tip: Most credit card companies including Amex now require from their clients to inform them in advance when making purchase online or out of town / state, otherwise they decline the transaction to prevent fraud. You may also get an email or text message alert asking you to approve or decline the transaction that has been declined before you resubmit it online, this is out of our hands and it’s indeed required by many credit cards companies for customers’ own good. 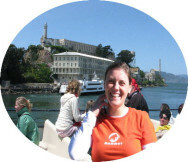 -All our tours including Alcatraz are subject to availability even if the online transaction is approved. We do reserve the right to void or refund your transaction when Alcatraz tickets are sold out. This is totally out of our hands as the only provider of Alcatraz tickets and tours are governed by the U.S. National Park Service. -We do require at least 2 months in advance when booking our Alcatraz tour during the peaks season, holidays and weekends, sometimes even more, specially from May to October. The peak season refers to the period of April to the end of October. -We reserve the right to offer you alternative tours when Alcatraz tickets are sold out. If you decline our offer, we will fully refund your transaction – a process which takes about 10 business days before your funds are available to you. This is stated on our terms and conditions page, available in all languages, or you may use google translator. By signing or checking this box “terms & conditions” on our website, you do hereby agree with all the above terms and policies and the tour voucher terms, which we will send to you via email after your tour confirmation. Alcatraz prison is just as portrayed as in the Hollywood films with about Frank Morris (Clint Eastwood) in this maximum-security prison Alcatraz, the cell still preserved as seen in the Clint Eastwood movie “Escape from Alcatraz”. No trip to San Francisco is complete without visiting Alcatraz Island. It took me 2 tours to Alcatraz before I felt the strong atmosphere and energy you get after stepping off Alcatraz cruises ferry and onto the dock. this city private tour and Alcatraz is an exceptional combo trip I recommend for all visitors (worry- free). Book your Alcatraz tickets months in advance before you travel to San Francisco, this is a must-see attraction when visiting San Francisco and Northerner California. A police officer from south Africa who traveled with us on the ferry had a stop offer in SFO, just to visit Alcatraz. Dress in layers, ironically summer is not warm, weather is cool and gets foggy in the in SF Bay. The views of Alcatraz from San Francisco are better than the views of SF from of the island, but the combo tour is a must do and saved us time and money. Thank you, Mary, great tour- our kids loved your jokes and stories about Alcatraz. 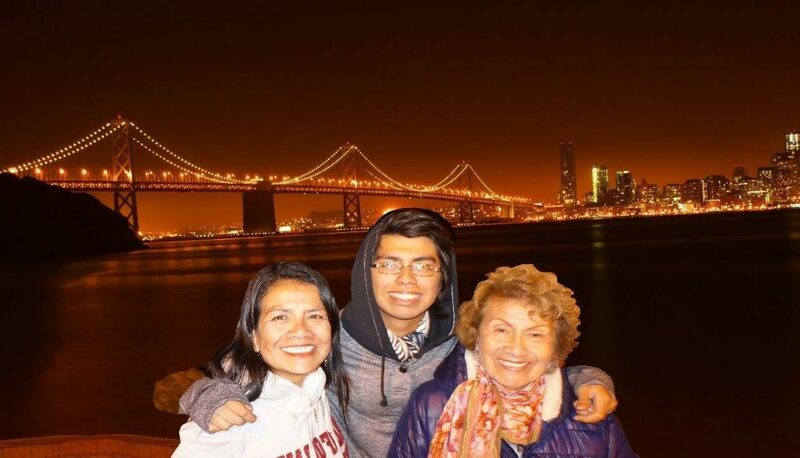 My husband and I decided to book the Alcatraz and city combo custom tour for our parents and in laws, we were a group of 7 persons, our local tour guide was amazing, informative and fun, and he is fluent in Spanish. Booking a SUV tour, allowed us to make many stops in many places for photos without having to walk at all, we had lots of fun. 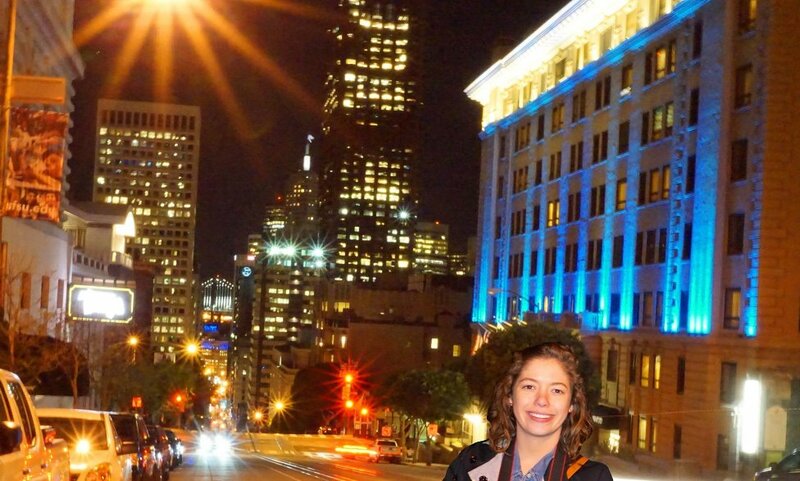 San Francisco is a beautiful city and Alcatraz island prison is a must see. Ensure you book Alcatraz prison tickets ahead of time! We did it! We made it to Alcatraz and escapade from the rock! 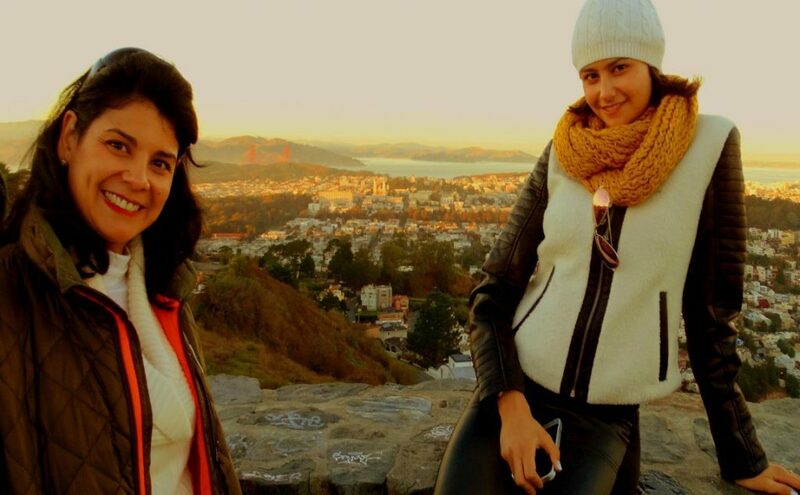 We recommend this combo adventure of Alcatraz with the city tour, we had nothing to worry about, we got picked up at our hotel, did the city private tour, and Alcatraz prison self-guided tour. Whether you live in San Francisco Bay Area or visiting SF from the US or overseas, this day trip is a must-do for all ages and even for folks with mobility issues. Alcatraz island and prison are one of the most handicapped accessible tours and places I've ever been on. Alcatraz guided tour is amazing, yet, can be a little confusing unless you follow the guided trail step by step. The ferry ride to Alcatraz island offers beautiful views of San Francisco downtown, islands in the bay lie Ange island, treasure island and bridges like the Golden Gate bridge. Be on time for the ferry departure or you get turned down as they only allow the exact time and departure stated on each ticket. Alcatraz tickets are so valuable and hard to find, we were lucky we got a last-minute cancellation from Alcatraz Tours otherwise we would have missed out on the best attraction in California. Many visors show up at last minute by the ferry terminal looking for tickets and willing to pay any price to get their hands-on tickets to Alcatraz, but Alcatraz tickets get sold out weeks and month in advance. Definitely a 5-star experience for this Alcatraz and Redwoods combo tour. Our tour guide drove us away from muir woods traffic jams to a small forest of redwoods in Marin County, we were the only ones roaming through the tall and big redwoods there, so nice to enjoy nature without putting up with traffic and a horde of people pushing and shoving like in Muir Woods. I’ve been there, and I honestly prefer these alternative groves of redwoods we went to visit in Marin. "Awesome bay cruise around Alcatraz Island"
This is great alternative tour experience when Alcatraz tickets are sold out. 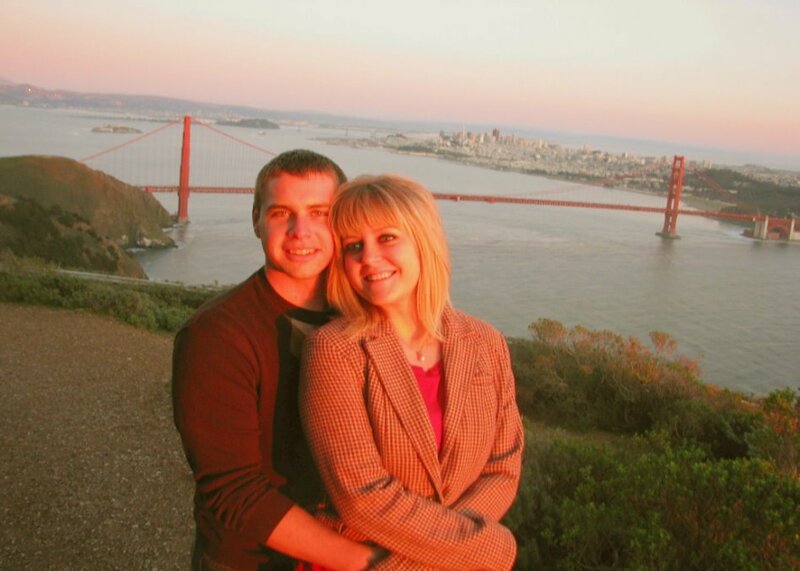 We were happy with this trip, it combined our city private tour, and the ferry cruise around Alcatraz island, that was perfect as it was our last day in California. From the city tour to Alcatraz Island, we and our kids had an amazing adventure, a bit cold in San Francisco Bay in summer ironically, but were very interested in the criminology and forensics stories of Alcatraz and San Quintin prison like Charles Manson, the Zodiac, Fong “Little Pete” Ching, Zebra killers, Felix Mitchell, the Unabomber, Scott Peterson, and Clarence and John Anglin and Frank Morris and their famous ‘Escape from Alcatraz’. Wow! the feeling visitors get when you are stepping onto Alcatraz island. Our Muir Woods & Alcatraz combo tour was exactly what we needed as we only had one day in SF. The tour is Well Worth the money that you spend. 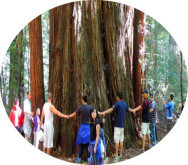 The big redwoods in muirwoods forest are impressive but the forest was crowded, and Alcatraz tour must be on everyone’s bucket-list, these sights and attractions in SF are amazing places to visit and see when you visit san fran. "Why everybody is so crazy about Alcatraz?" Why everybody is so crazy about Alcatraz? Alcatraz Island is dim, cold, morbid, and crowded. We felt nothing, seen nothing, heard nothing that made it so appealing, a bit overrated in our opinion. Why criminals have become victims? They deserved to incarcerated in Alcatraz prison! Some visitors were even asking for autographs from a former inmate of Alcatraz, this makes no sense to me. This is an incredible tourist attraction of San Francisco bay area, if you plan on visiting San Francisco you got to add Alcatraz to your bucket-list, more than Muir Woods or Napa. Alcatraz Island history itself is a very interesting story, before it even was used as a federal prison. How anyone could even escape from this remote Island? The audio headphone guided tour is informative and the stories and sounds of prison officers makes the guided tour so real. I am taking back amazing pictures to show my friends in Japan. Worry-free vacation package, we were lucky to find and book this all-inclusive SF Alcatraz tour package, it was a worry-free reservation all included, the perfect way to indulge in San Francisco if you have no time. 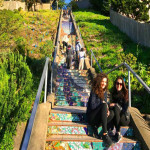 It was convenient, affordable, and fulfilling combo trip of SF city attractions and Alcatraz tour, a must-do when visiting the city by the bay, and worth every penny you spent. Reserve Alcatraz tickets in advance, the tour was So much better than I was expecting. You get a ferry ride from San Francisco pier to the Alcatraz island. It was rainy, and foggy that day, but still well worth the trip. The trip was very well run, we were welcomed in the dock by a ranger who let us know some key information and rules before visiting the prison. Alcatraz prison is just as portrayed as in the Hollywood films about Frank Morris (with Clint Eastwood) in this maximum-security prison Alcatraz, the cell still preserved as seen in the Clint Eastwood’s movie “Escape from Alcatraz”. No trip to San Francisco is complete without visiting Alcatraz Island. It took me 2 tours in Alcatraz before I felt the strong atmosphere and energy you get after stepping off Alcatraz cruises ferry and onto the dock. 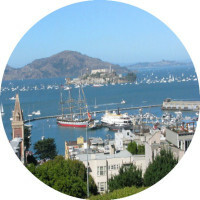 This city private tour and Alcatraz is an exceptional combo trip I recommend for all visitors (worry- free). Alcatraz Island tour is outstanding and a stunning sight and my favorite attractions in California, but you got to book your Alcatraz tickets very early. We booked our Alcatraz tickets 2 months in advance as a tour combined with the city tour, but the next day, Alcatraz park service got sold out. The energy and the impression you get when vising Alcatraz is something you need to experience for yourself. We loved our city tour as well with Jonathan, the tour guide was amazing and fun. Book your Alcatraz tickets immediately when you plan your trip to san fran, we had initially planned to book Alcatraz Island night tour but it’s 100% impossible to get. 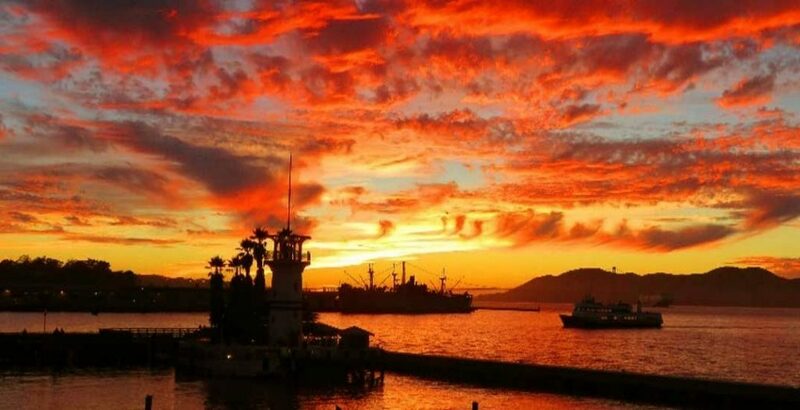 The day tour was not bad at all apart from the fascinating story of Alcatraz, the trip to the island is phenomenal, and the city tour completed the package trip and appeal to all ages. That’s was a good company to work with. Book your Alcatraz tickets months in advance before you travel to San Francisco, this is a must-see attraction when visiting San Francisco and Northern part of California. A police officer from South Africa who traveled with us on the ferry had a stop over in SFO, just to visit Alcatraz. Dress in layers, ironically summer is not warm, weather is cool and gets foggy in the SF Bay. The views of Alcatraz from San Francisco are better than the views of SF from the island, but this combo tour is a must do and saved us time and money. This is an incredible tourist attraction. We did the tour with our kids, and they loved it too. The audio tour was well done, we took tons of pictures, hanged out and enjoyed the views of the city from Alcatraz Island. The views are spectacular from Alcatraz, go to the officers’ gardens’ side that overlooks the golden gate bridge, but watch out for the steps, they are very steep. Army officers and their wives who stationed on the Island in the early 1900s, planted all kind of vegetables there (The beauty on the beast).